Over the past 20 years LW Management has grown and expanded, with multiple sites across the length and breadth of Cork City. With public footfall exceeding 1,000,000 each year between all of our locations, we are a direct point of contact for our local population. Opened in 1997 LeisureWorld Bishopstown has grown and evolved over the past 20 years to be one of the biggest and best health, fitness and leisure facilities in Cork. This is the flagship LW Management site and its largest facility. In 2005 LW Management took over the facility on the north side of the city which is now called LeisureWorld Churchfield. This facility is the second largest of the LW Management facilities and has a special place in the community with a strong family focus. 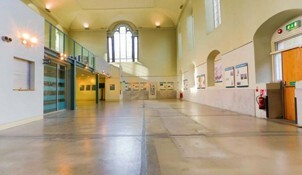 LW Management took over the management of St. Peter’s Cork on North Main Street in 2016, and the venue is a popular event space in Cork City that plays host to a variety of talks, workshops, performances and indoor markets. Mahon Golf Course, Ireland’s first purpose built municipal 18 hole course located on the Mahon peninsula. LW Management took over the management of the Gus Healy Swimming Pool in Douglas in 2012 on behalf of Cork City Council. The Sam Allen Sports Complex consists of 8 all-weather, 5-a-side soccer pitches with floodlights, changing and shower facilities in Churchfield.